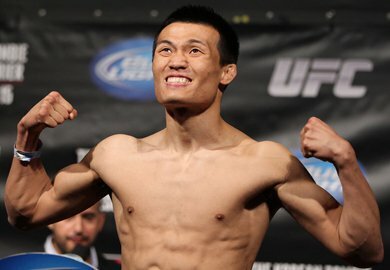 A featherweight bout between Chang Sung Jung and Akira Corassani has been added to the UFC’s upcoming UFC Fight Night 53 card. The two will be placed in the evening’s co-main event alongside Gunnar Nelson and Rick Story. UFC Fight Night 53 is set to go down from the Ericsson Globe in Stockholm, Sweden on October 4th. The event will stream on UFC Fight Pass. UFC officials recently took to twitter to announce this clash.